Dancer is a wonderful addition to our rescue. A 25 year old Pinto Mare with the sweetest disposition. 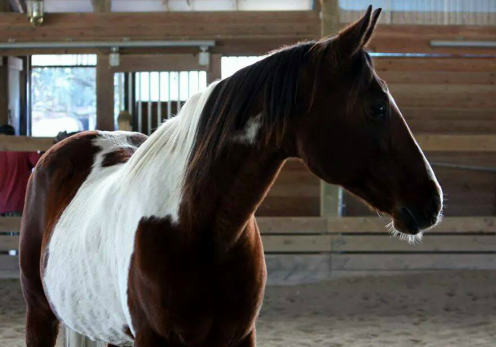 She has been an important part in the success of our lesson program at Sunrise Equine Rescue. Please contact us for more information on Leasing.